Absolutely Alli: Coming In Hot!! 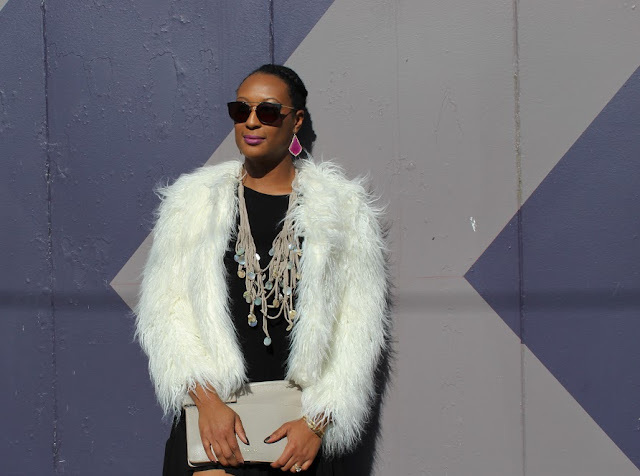 With this weather, who doesn't need a faux fur coat?? I mean it is perfect! This coat is from Baciano, if you have not checked them out, you should! They have some stylish on trend pieces for everyone, from dresses to jackets to sweater. 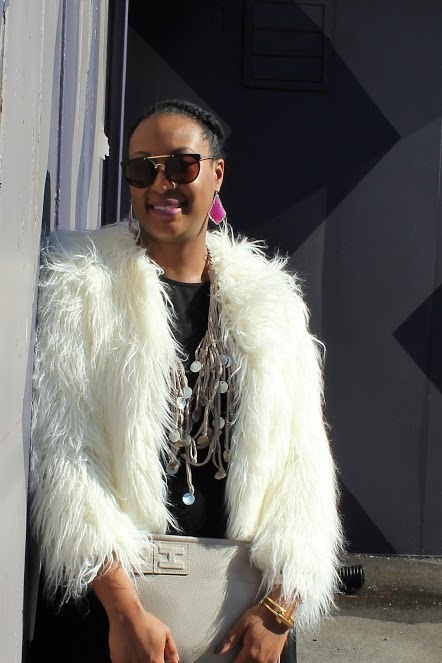 This faux fur coat looks great with almost anything. I paired it here with a black Agnes & Dora dress and tan knee boots. Let's not forget the accessories, which can make any outfit. Sunglasses, earrings (that give a pop of color), and a clutch that compliments the necklace perfectly (which was a gift from my future mother in law, all the way from Australia). 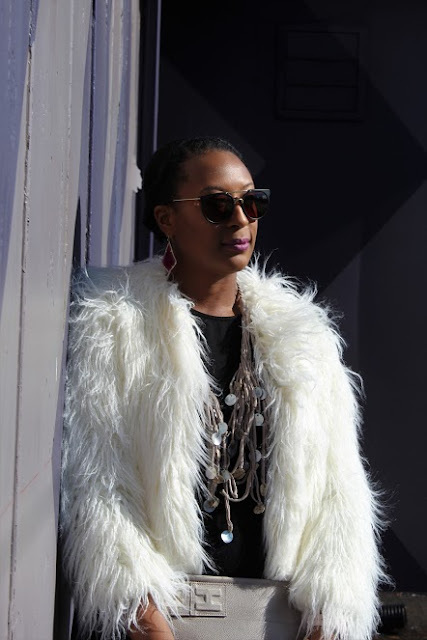 How would you wear a faux fur coat? Thanks Baciano for sponsoring this post.